challenges facing one of the most vulnerable and poverty-stricken segments in Canada. Nearly 1.7 million people identified as Aboriginal in the 2016 census, Statistics Canada says — a 4.9 per cent share of the total population and a breathtaking 42.5 per cent increase since 2006, a growth rate more than four times that of their non-Indigenous counterparts. The agency attributes the spike to both natural growth — increased life expectancy and a high fertility rate — and the fact that Indigenous people appear to be more willing to identify themselves on the census as either First Nations, Metis or Inuit. “Sometimes it could be in specific provinces, where more and more people are emphasizing the importance of reporting ourselves as Aboriginal Peoples,” said Jean-Pierre Corbet, the assistant director of the agency’s social and Aboriginal division. Those claiming Metis heritage are behind the biggest chunk of growth, numbering 587,545 last year, an increase of 51.2 per cent since 2006, followed by First Nations at 977,230 people, a 39.3 per cent spike, and 65,025 Inuit, an increase of 29.1 per cent. Paradoxically, the Aboriginal population in Canada is both young — 32.1 years old, on average, compared to 40.9 years old for non-Aboriginals — and aging: 7.3 per cent of Indigenous Peoples were 65 or older in 2016, compared with 4.8 per cent in 2006. It’s a demographic double-whammy of sorts, considering that median personal income for Aboriginal people is just $25,526, compared with $34,604 for the rest of the country, while nearly one-quarter live below Statistics Canada’s poverty threshold. Wednesday’s release was chock full of similarly sobering economic indicators. One in five Indigenous people lived in a dwelling in need of “major repairs,” compared with six per cent of the non-Indigenous population. In the case of First Nations and Inuit, the ratio is closer to one in four, particularly for those living on reserves. One in 10 lived in a home too small for their family. In Iqaluit, poverty and inequity are on display on a daily basis, said Qaumariaq Inuqtaqau, a 31-year-old Inuk activist who has been aggressively lobbying the federal Liberal government to improve the quality of life for Indigenous Peoples. Young Inuit families must often scramble to find shelter, bouncing from home to home before ending up in unheated tents and shacks in the blistering cold — dire conditions that often exacerbate the high rate of suicide and put parents under unbearable pressure, Inuqtaqau said. “It is very hard on them,” he said. “Hard on the baby, too. Statistics Canada’s projections show that the Aboriginal population in Canada will top 2.5 million over the next 20 years. 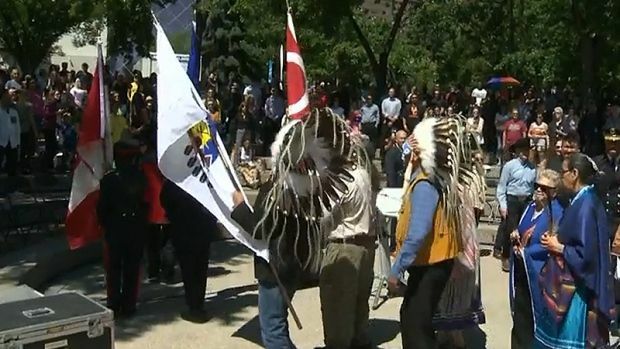 “There is actual growth in the population, but there is also an embracing of the identities under Aboriginal indicators,” said Michael Haan, an associate professor in the school of sociology at Western University in London, Ont. Things are only going to get worse before they get better, warned Inuqtaqau. Chief Kevin Hart, the Manitoba regional chief for the Assembly of First Nations, oversees the water, housing and infrastructure portfolio for his organization. He doesn’t mince words when describing the magnitude of the challenge. The federal government should prioritize skills and training for First Nations, Hart added, suggesting the booming youth population can help build homes in communities where they are so desperately needed. First Nations child advocate Cindy Blackstock, the executive director of the First Nations Child and Family Caring Society, said the federal government needs to develop a clear timetable for addressing a problem it persists in understating. “They really set up an architecture where we, as First Nations, are supposed to be thankful for this little first step of progress,” Blackstock said, citing 110-year-old documents that show a causal link between government intransigence and Indigenous child deaths. Indigenous Services Minister Jane Philpott said the census data will be a valuable tool as the government continues to build her brand new department, which will be focused on priorities like education, housing and drinking water. “It is always really helpful to have data to drive decision making,” Philpott said.